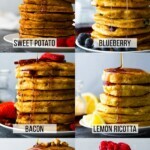 7 homemade pancakes flavors that are made with healthier ingredients and are easy to prepare! Plus tips for getting perfect pancakes every time. I look forward to Pancake Sunday all week long! Today I’m sharing seven homemade pancakes recipes that are going to get you really excited for Pancake Sunday, too! I’ve been testing and retesting for months and it’s finally here…pancake palooza! 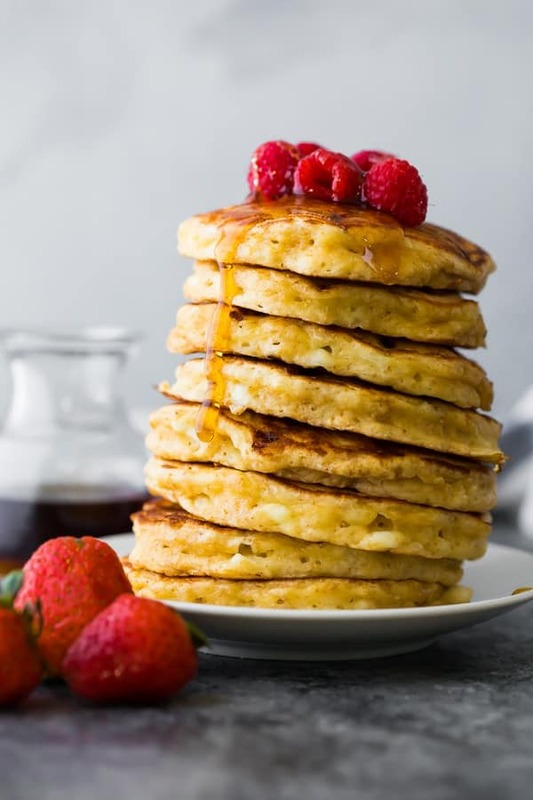 I’m sharing seven delicious homemade pancakes recipes that the whole family loves. Not only that but they can be made ahead and frozen, which means they are perfect for meal prep! 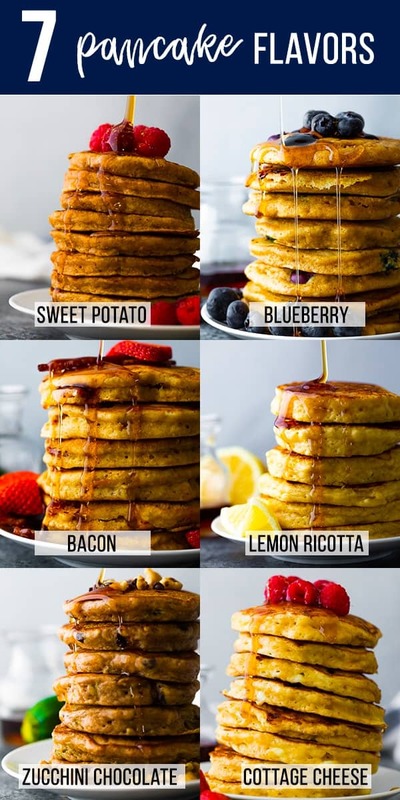 The process of making these seven pancake recipes is all pretty well the same for all of them! Melt coconut oil in large microwave-safe bowl. Stir in all wet ingredients. If you need, you can pop the bowl back in the microwave and heat on 30 second increments to melt the coconut oil again. 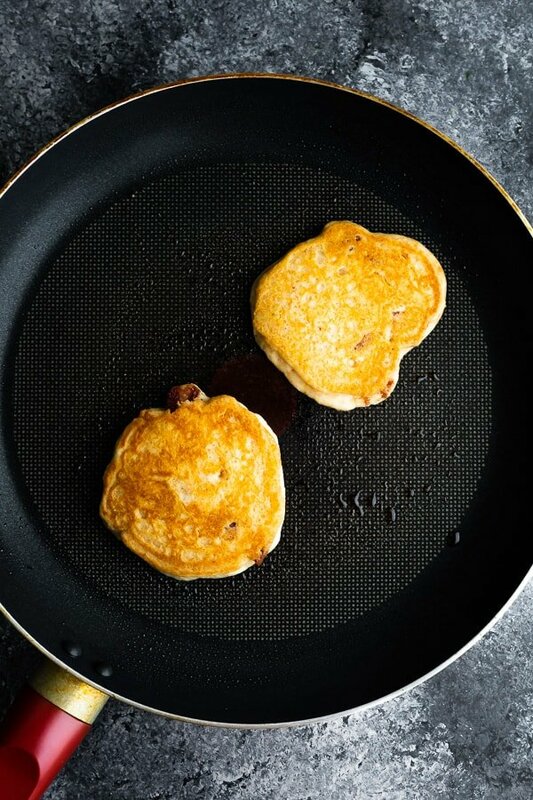 Using a 1/4 cup to measure, cook the pancakes in a non-stick pan for approximately 2 minutes on the first side and 1 minute on the second side. Can I change the flour out in these recipes? 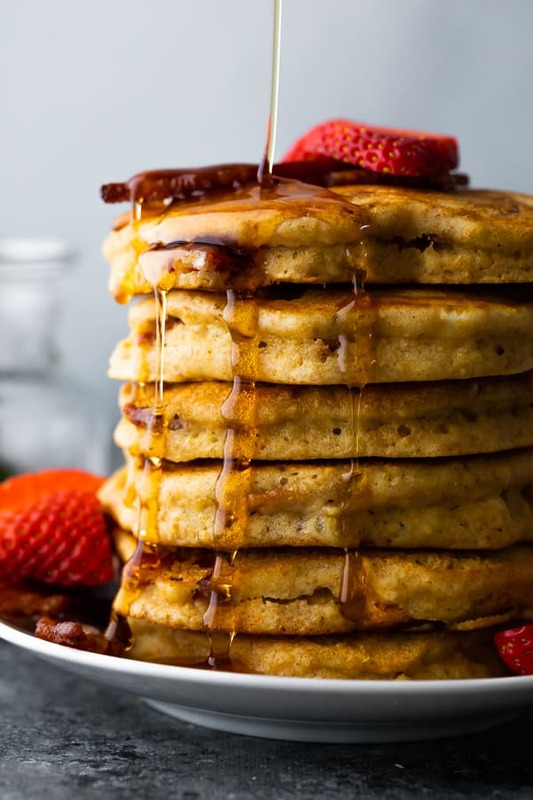 These pancake recipes can be made with all purpose flour or white whole wheat. 100% whole wheat flour ends up dense and gummy and is not good. Almond or coconut flour may not be subbed in these recipes. Gluten-free flour has not been tested. Can I skip the coconut oil? Yes, but swap for an equal amount of butter or neutral oil (like vegetable or avocado). Can I omit the eggs? Unfortunately flax eggs really change the texture of these pancakes. You can get by with it but they are not amazing. Can I freeze these pancakes? Yes! To freeze, you can stack them in a reusable container separating each pancake with a bit of parchment. You can also store in a freezer bag, make sure to get as much air out as possible. Pancakes may be frozen for 1-2 months. To re-heat, thaw partially in the microwave and crisp up in a toaster or frying pan. Can I bake these pancakes? I have not tested. I would use this Sheet Pan Pancakes recipe instead! 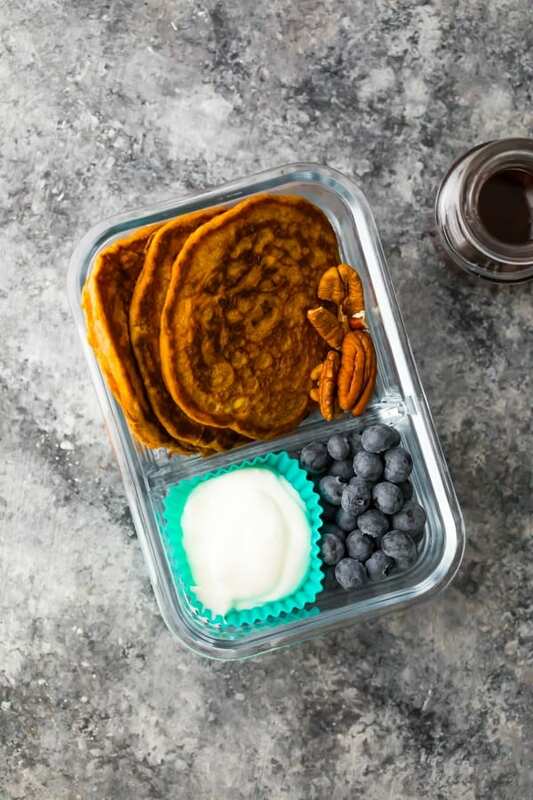 Before we jump into the individual pancake recipes, let’s talk meal prep! refrigerated– I like to portion out with some yogurt and berries (as pictured ahead) for easy breakfasts on the go. frozen– freeze in a glass container (wrapped in parchment) or freezer bag. Thaw partially in the microwave and pop in the toaster or a frying pan to crisp up. Click here for the printable fluffy blueberry pancakes recipe or scroll to the bottom of the post for the recipe card! 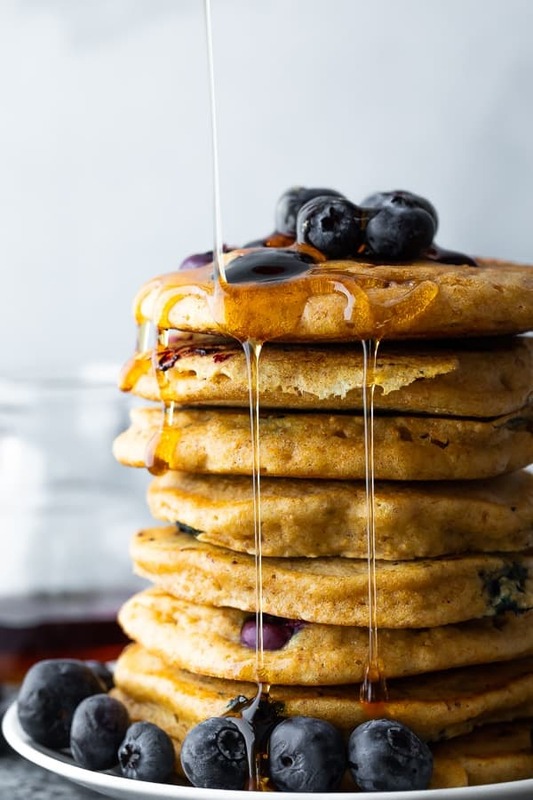 A classic and personal favorite, these fluffy blueberry pancakes have a touch of lemon zest and fresh (or frozen) blueberries for a burst of berry flavor! Click here for the printable bacon pancakes recipe or scroll to the bottom of the post for the recipe card! Who can resist sweet and savory? Not me…these bacon pancakes are another popular option at our house! Click here for the printable lemon ricotta pancakes recipe or scroll to the bottom of the post for the recipe card! Sweet and citrussy, but light and fluffy from the ricotta. 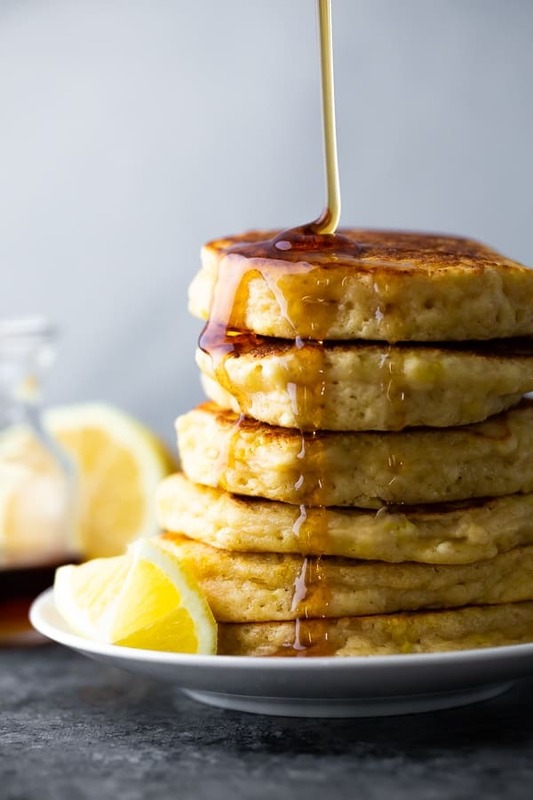 These lemon ricotta pancakes are easy to prep but are fancy enough for a special brunch. 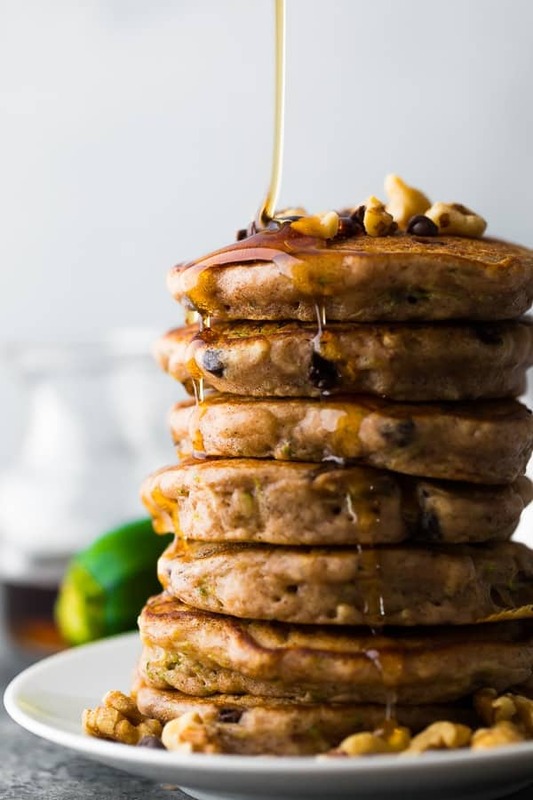 Click here for the printable zucchini chocolate chip pancakes recipe or scroll to the bottom of the post for the recipe card! These pancakes were inspired by this Zucchini Bread Recipe! With little bites of chocolate chips, and a sneaky dose of veggies in your breakfast. Click here for the printable sweet potato pancakes recipe or scroll to the bottom of the post for the recipe card! 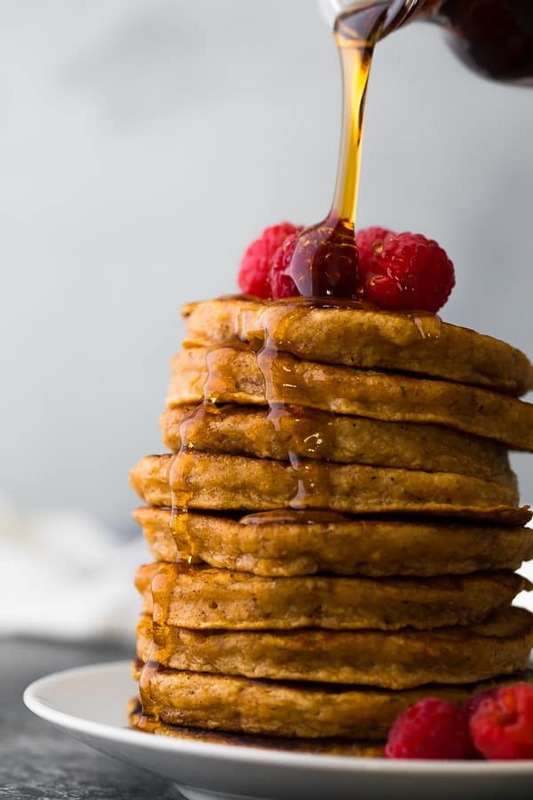 Slightly sweet, with cinnamon and nutmeg, these sweet potato pancakes are something just a little different! 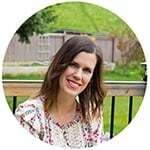 Click here for the printable cottage cheese pancakes recipe or scroll to the bottom of the post for the recipe card! 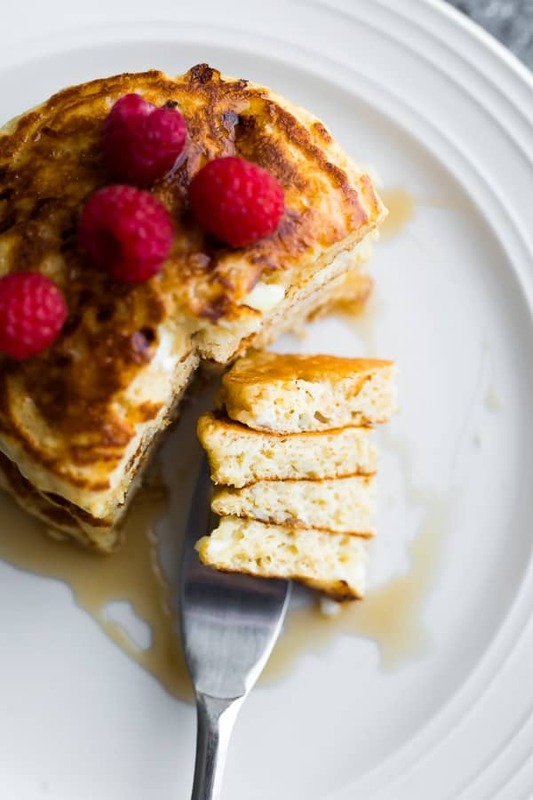 These cottage cheese pancakes give your morning an extra boost with 6 grams of protein per pancake! Click here for the printable pumpkin pancakes recipe or scroll to the bottom of the post for the recipe card! Who says pumpkin is just a ‘fall thing’? 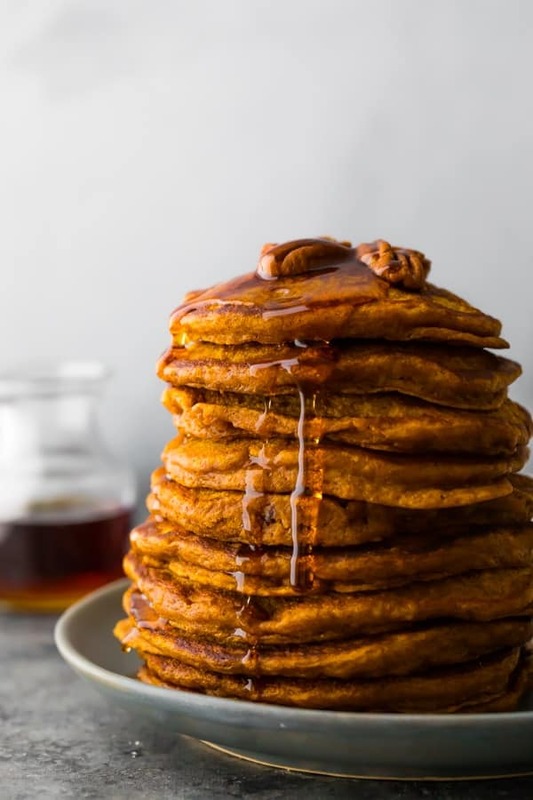 We love these pumpkin pancakes year round! In a large microwave safe measuring bowl, melt the coconut oil. 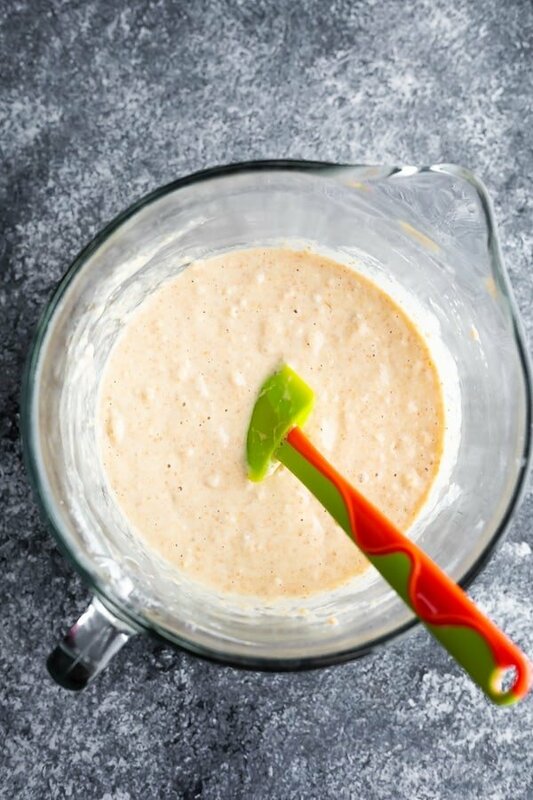 Stir in the wet ingredients: eggs, milk, maple syrup and vanilla (and ricotta, pumpkin puree or sweet potato puree) until smooth. If coconut oil begins to solidify, pop it back into the microwave for a few 20 second increments. Add the flour, baking powder, salt and any extra spices the recipe may call for and mix until no clumps of flour remain. Do not over-mix. Fold in any extras like blueberries or lemon zest. Serve with berries and yogurt or pecans and maple syrup!